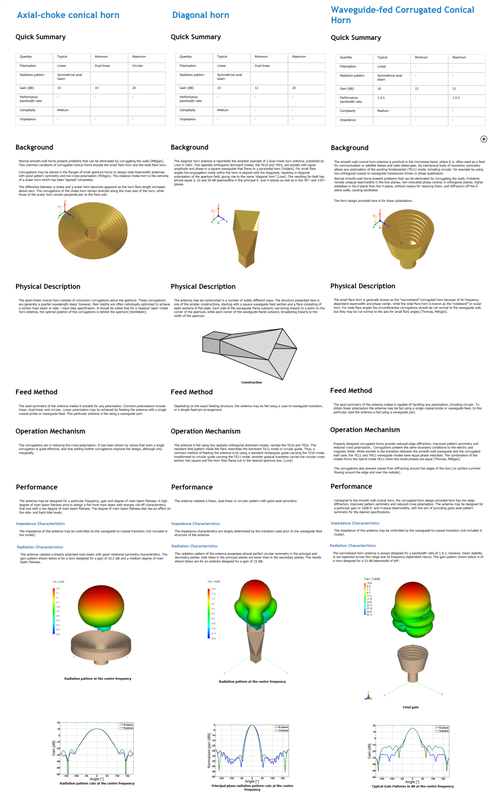 Antenna Magus is actually nothing like any other antenna design software product. It takes on a completely new approach to designing antennas. You may have seen other "Antenna design software" tools that are intended to assist engineers with antenna design but aren't really that useful since many of them consist of a very small selection of known antennas that can only be designed for a limited set of objectives over a small range of input parameters. All antenna engineers are familiar with a number of antennas. For some it is only a handfull while some seem to have unlimited knowledge of different antenna types and an in depth understanding in the underlying physics of how they actually work. The bottom line is that not one person can know everything about antennas and that hands-on experience is probably the most valuable commodity in the field of antenna design. When faced with new design requirements most engineers will start with antenna topologies that they are familiar with. Antenna Magus has revolutionized this first step in the antenna design process by broadening the scope of possible antennas that would be considered during the initial phase of design.